How to crop a Flash Movie? "I really like iWisoft Flash/SWF to Video Converter! It doesn't look like I'm losing any picture quality in going from Flash to AVI. This is great! Good work! Tutorial - 14. How to crop a Flash Movie? 1). Input Flash SWF file from local computer. 2). Click button. Under the "Crop & Watermark" tab, select an area of the movie to be cropped. Then click "Ok" button to save the settings. 3). Click the "Capture" button to start converting. 4). Click "Finish" button when you see the frame that you want to set as the last frame. 5). The output video will only retain the area as you selected. "Wow, the 3.4 version is totally cool, or hot, or whatever....it works easily and quickly. Doesn't even need a video to understand how to use it." 1. How to download your favorite Flash animations from any webpage? 2. How to convert Flash SWF/FLV to AVI/XVID/DIVX/MS-MPEG4 video? 3. 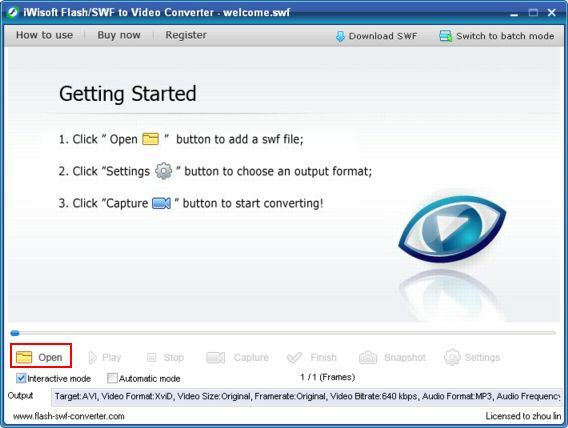 How to convert Flash SWF/FLV to MPEG, VCD/DVD compatible video? 4. 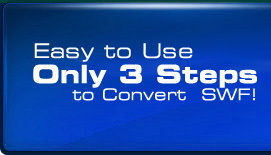 How to convert Flash SWF/FLV to iPod/iPhone/Apple TV video? 5. 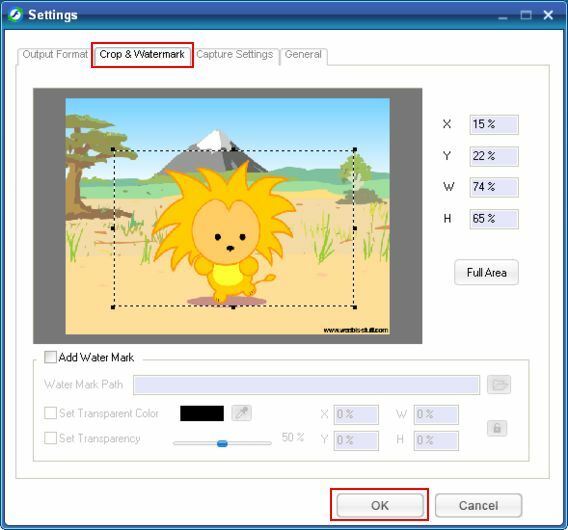 How to convert Flash SWF/FLV to PSP/PS3 video? 6. How to convert Flash SWF/FLV to Mobile 3GP video? 7. How to convert Flash SWF/FLV to Zune video? 8. How to convert Flash SWF/FLV to WMV video? 9. How to convert Flash SWF/FLV to Pocket PC/Windows Mobile video? 10. How to convert Flash SWF/FLV to Flv video? 11. How to extract Flash SWF/FLV audio to MP3 file? 12. How to convert Flash SWF/FLV to Animated GIF or BMP, JPG, GIF, PNG image series? 13. How to trim segments from a Flash movie, and merge several segments into one? 15. How to add a watermark onto the output video? 16. How to take snapshots from a Flash SWF/FLV file? Copyright © 2012 flash-swf-converter.com, All rights reserved.